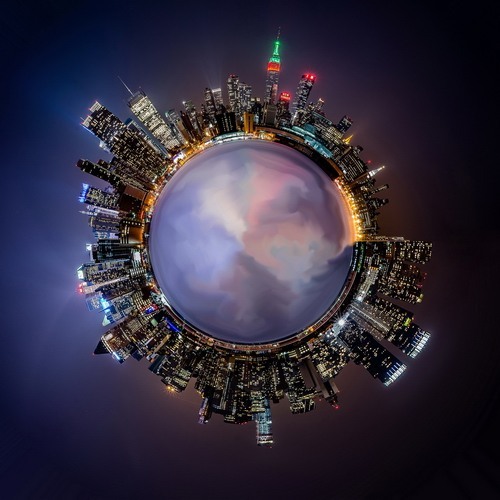 New York City Parallel Universe, 2013, digital print on metallic paper, 30 x 30 in. I am literally in love with New York City. Every time I watch Manhattan from Jersey side, I feel it as a separate planet from the Earth with millions of souls in it. My work represents this planet of Manhattan.